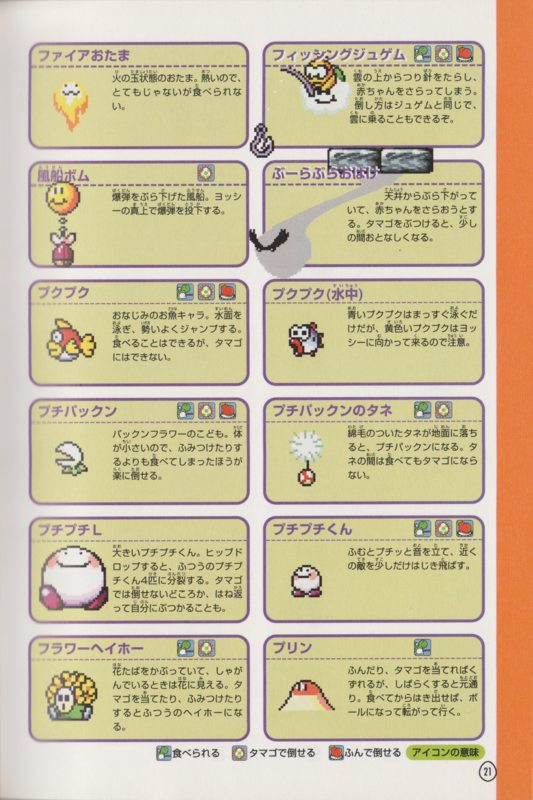 Petal Guys (originally known as Mufti Guys) are Shy Guys in Super Mario World 2: Yoshi's Island, Yoshi's Island: Super Mario Advance 3 and Yoshi's Island DS. 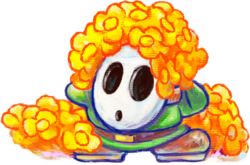 They wear flowers on their head and use them to hide by crouching down on the ground so that Yoshi can only see the flowers. When Yoshi gets close to where they are hiding, they will get up and try to hurt Yoshi. When they get up, they still have flowers on their head. A Petal Guy named Petal Guy appears in Mario Party Advance. One of the player's quests involves helping him tell a Flutter that he is in love with her. Petal Guys return in Yoshi's New Island. In Yoshi's Crafted World, Petal Guys wear flowers made of cardboard. ↑ Yoshi's New Island Official North American website. 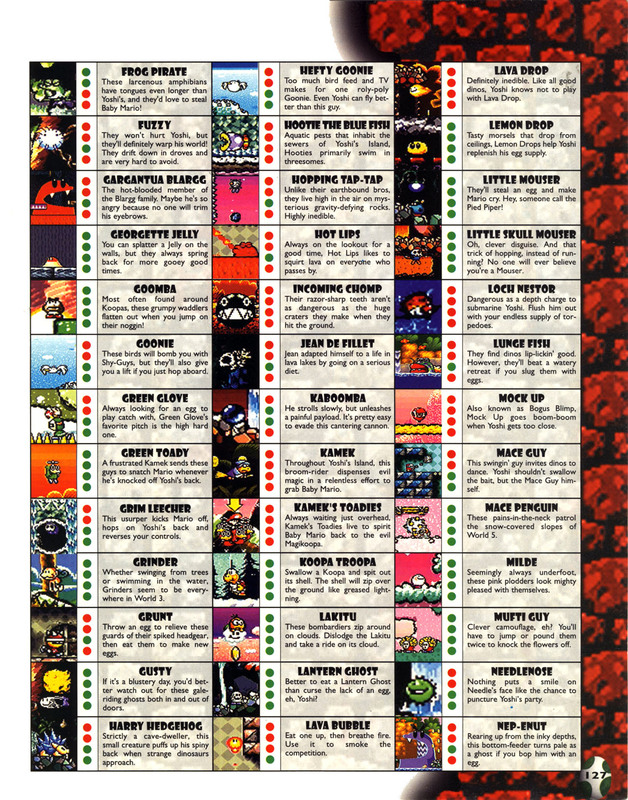 This page was last edited on March 28, 2019, at 22:26.